So what is Creation all about? Peter Loughran has been creating and marketing original magic effects and illusions for almost 2 decades with dozens of top selling magic effects on the market today, while also consulting for dozens of other creators, and now for the first time he finally shares some of his own personal underground secrets, tips and methods to producing, manufacturing, marketing and inventing magic. Let Peter be your personal consultant and reap the benefits of his own personal success and failures. Peter will take you deep into the world of creating and marketing magic in an industry far different than any other. You will learn about a different side of magic, as he explains in detail about some of the most important topics related to the subject such as advertising, marketing, pricing, distribution, packaging, ad copies, accepting payments, websites, manufacturing, legalities, and much more. He will even share some of his own personal stories. 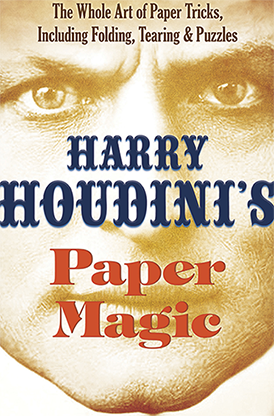 If you have ever thought about marketing your own magic trick or illusion, then this book is a must have. If you are already a seasoned creator or manufacturer, this book is a must read and will be your personal reference guide as you read about different perspectives and how they can help better your business. If you are not a creator or have no intentions on producing magic, this book will give you insight on the complicated nature of creating and marketing a product in a very limited market and industry, and perhaps help you gain new respect for the creators in our art. "It is rare to find a book that tells you everything you need to know to get started and become successful in a given field, but this book does exactly that. If you learn and apply the information Peter so generously provides, there is no reason why you can't be successful in this little known-field, but highly lucrative, market." 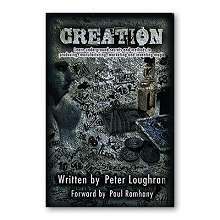 Written by Peter Loughran, Creation is the first publication of its kind that we know of that covers this subject in this much real world detail. 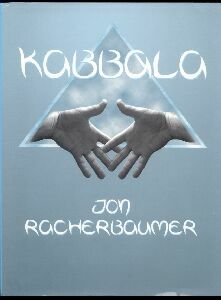 By using the information in this book you have the potential to make this a primary or secondary income and the book will pay for its self over and over again. Creation comes to you as a beautiful soft cover perfect bound 6x9 book and includes a forward written by fellow creator and professional international performer Paul Romhany. Each one is hand signed by the author and Creation will only be printed in limited quantities.